The film, which premiered as part of the festival’s Midnight series, is a bloody thriller with some heavy black comic overtones, like “The Goonies” with assault rifles. Two boys (delightful newcomers Hays Wellford and James Freedson-Jackson) are exchanging swear words like “weiner” and “assface” as they go tromping through the fields around their Colorado hometown. (“Cop Car” was shot near Fountain, Colorado, Watts’ hometown). They’re looking to get into some mischief, and they find it in the woods — a police cruiser, with the keys under the sun visor. The boys’ joyride is hilariously realistic, as they peel around the pastures and onto the highway, laughing maniacally. The only trouble is that the car belongs to the local sheriff (Kevin Bacon), who parked that car while he went to dispose of a body. And there’s a second one in the trunk. 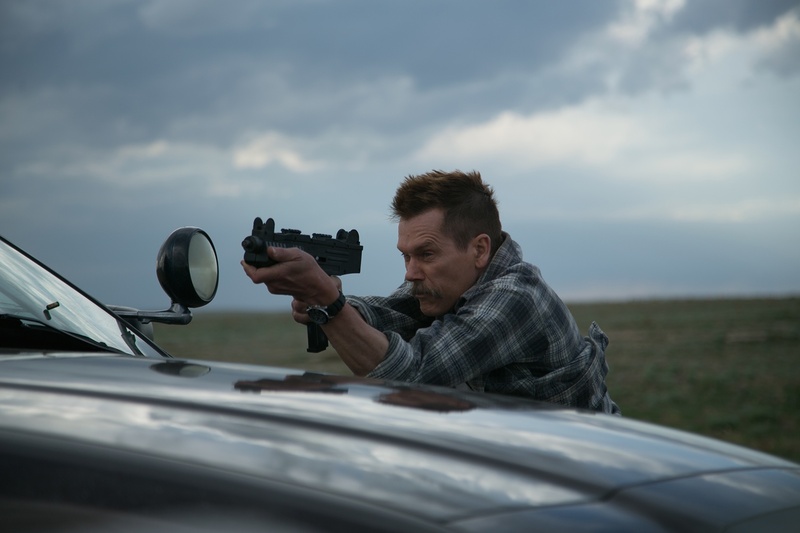 The screenplay for “Cop Car” is so clean you could nick yourself on it, and Watts uses the plains of Colorado to great visual effect, vast expanses against which to play this small, bloody, funny struggle. “Cop Car” draws gasps (especially from parents) as it cheerfully shows young boys getting into all kinds of bad behavior, including waving guns at each other without the faintest idea what they’re doing with them. Bacon, sporting a majestically droopy mustache, is really funny — his opening scenes, mostly dialogue-free, when he realizes what’s happened to his car are great physical comedy. And Shea Whigham, a welcome presence in any movie, shows up late in the film as a loopy criminal with a score to settle against the sheriff. Pretty much every scene in “Cop Car” should be stamped with a “Don’t try this at home” sticker. Unless you’re talking about making a low-budget, clever, crisp independent thriller. Then, by all means, give it a shot.